Jim Harrington with the Texas Civil Rights Project sits down with Texas Standard to go through the Sandra Bland dash cam video step-by-step. On July 10, 28-year-old Sandra Bland was arrested and charged with assaulting a public servant. She was taken to the Waller County Jail; three days later, she was found in her cell dead from what officials called suicide. Both the FBI and the Texas Rangers launched investigations trying to find out what happened. Questions, in the wake of the video: What are the rules? 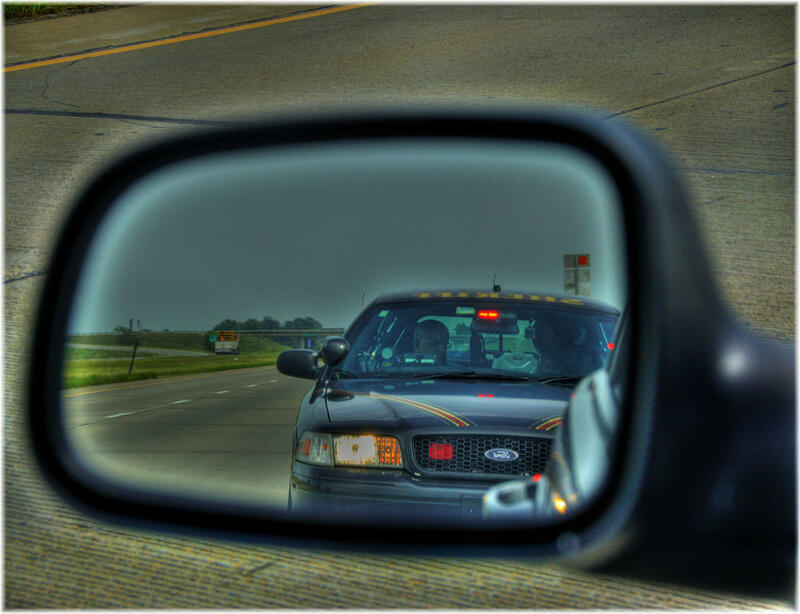 Not policies or politeness – specifically, what are your rights when you’re pulled over by police? The trooper asks, “You mind putting out your cigarette please?” And Ms. Bland says, “Well, I’m in my car – why do I have to put out my cigarette?” Does she have to put out her cigarette? Harrington: No, she doesn’t have to put out her cigarette. And you wonder why the officer is even bothering with that. This is part of his escalation of the whole event that unfolded, unfortunately. The next part: “Step out of the car.” Ms. Bland says, “You do not have the right.” He interrupts – “I do have the right, step out of the car or I will remove you.” Does he have the right, first, to order her to step out of the car? And second, to actually physically remove her from the car? Harrington: He does not have the right to say, get out of the car. He has to express some reason. ‘I need to search your car,’ or, whatever; he needs to give a reason. He can’t just say ‘get out of the car’ for a traffic offense. It’s one thing to say he has a reason; it’s another to say he has to give a reason. He may have had probable cause, or thought he had it, we don’t know. Does he have to state it? Harrington: He doesn’t have to state probable cause; he has to state some reason … And that’s part of the training that he should have had about how to de-escalate a situation. She’s clearly upset about what happened, particularly – as we know later on – that she moved over because he was tailing her. … He should be working on de-escalation. That’s the key. Ms. Bland says, “I refuse to talk to you other than to identify myself.” Is she right or wrong? Harrington: She’s right. Unfortunately, officers don’t like it when you know the law. In this case, even if you are right, you are still in danger. And that’s what we see unfolding here. The trooper says, “I am giving you a lawful order.” Now, is the lawful order to extinguish the cigarette, or to get out of the car, or neither? Harrington: You can’t tell why. Certainly, telling her to put out the cig was not a lawful order. Just saying ‘Get out of the car,’ in and of itself, without an explanation, is not lawful. And you see him say that throughout the video without ever saying why [or] what’s going on here. It’s clear to me that he’s trying to assert authority that he probably does not have under the law, and he’s escalating the situation because he is upset. [He] doesn’t exercise the training that he needs to be exercising to de-escalate this situation. “I’m gonna yank you out of here,” is what the trooper says. Can he physically “yank” her out of her vehicle? Harrington: He can’t do that either, unless she’s posing a threat to his welfare and safety. What he should have done was just wait for backup, if he couldn’t de-escalate it himself. But you don’t just pull somebody out of the car, and point that taser in her face. What if it had gone off? She’d have permanent brain damage. She says, “Dont touch me, I’m not under arrest.” Trooper says, “You are under arrest. She says, “Under arrest for what?” He then turns to his shoulder-mounted radio, and asks for another unit. Does he have an obligation as a law enforcement officer to tell her why she is under arrest? Harrington: Yes. He needs to – it’s not clear to her what’s going on. He needs to tell her, ‘You’re under arrest because …,’ but you can’t really tell her that. Because you can’t tell from the video that there’s any reason to have her under arrest. She asserts her right to record this with her cell phone. That’s a right that has been clearly established. Is that true? Harrington: She has a right to do that. But that’s another example where the officer perceives this as a challenge to his authority – and it further escalates the whole scenario. When he says “get out of the car, or I will light you up,” he is apparently referring to the use of a taser. Is that a legitimate threat? Is that something that’s okay for officers to do in that situation? Harrington: No – here’s the situation where he is clearly violating her constitutional rights. This is excessive force on the part of the officer – to take that taser and point it in her face and say, ‘I’m going to harm you.’ Taser is the last recourse to a gun. And if he can’t get her out, he can’t de-escalate it, he’s got to wait for another officer to come and talk through this. Right now, the trooper has been placed on administrative duty. He’s not on leave, he’s still working for DPS. It’s our understanding that there is a violation of policy here – he should not have allowed it to escalate. We are talking about a certain level of discretion that the state apparently entrusts with its troopers. Should officers have that much discretion? Harrington: He clearly exceeded that. … The discretion here is, how do you de-escalate the situation? He could have just given her the ticket and walked away. Just like that. But he had to go through this confrontation. Of course, there are questions of race that come up here. And the fact that this is an out-of-state car moving through the town – and we know in Texas that’s a pretty typical profiling event. What bothers me a lot is that troopers are supposed to be the best-trained police officers we have in the state. This guy is clearly out of control – clearly shouldn’t be out on the streets dealing with people – [given] this level of escalation that he provokes. From the Texas Tribune: Sandra Bland began her Facebook videos by greeting viewers as "kings and queens." Those close to her believe she truly meant it. 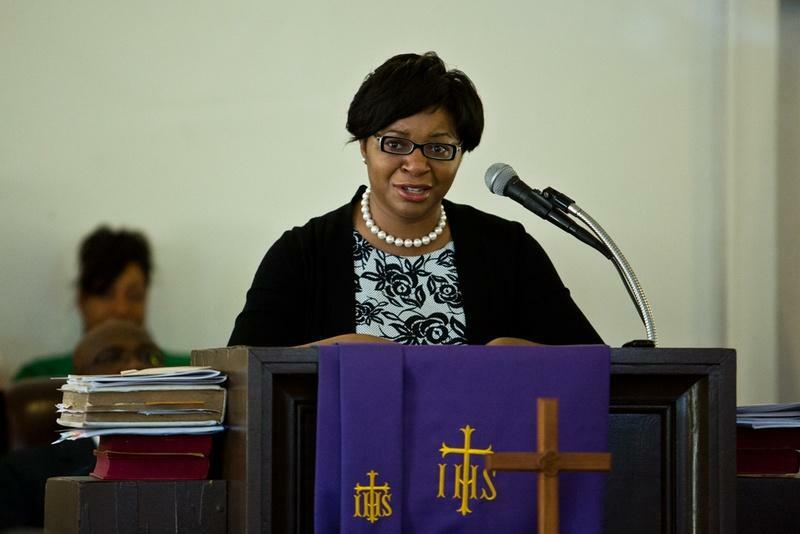 On both ends of the path that marked Bland's 28-year life — the western suburbs of Chicago where she grew up, and the Texas town where she died — family, friends and supporters continued to raise questions Sunday about her startling death in the Waller County jail as they took time to remember, honor and reflect. For more background information on the case of Sandra Bland, the Texas Tribune has coverage here, here and here. Is Austin's Police Monitor Keeping a Close Enough Eye on the Cops? Every time an Austin police officer shoots their weapon, it triggers a series of investigations. This year there have been three fatal APD shootings. The latest, July 26, when Police Det. Charles Kleinert shot Larry Jackson Jr.